1. Tell us what you want, what you need, or what you need to match. 2. Tell us the lowest price you've found on the Internet or at a local store. Custom blinds and roller shades at the guaranteed best prices. Just ask! 3. We'll either get back to you with a lower price, or we'll let you know you've already found the absolute lowest price on those blinds. Chances are very good, though, that we'll have the lowest prices on any blinds, window shades or any other window treatments you can imagine, but we'll be honest with you. If you find them somewhere else for an impossibly-low price, we'll let you know. Fill out the email form to the right and we'll get back to you with our guaranteed lowest price on blinds, shades or window treatments of any kind. Whether you're an interior designer, property manager, architect, or a home-owner, Castle Window Covers guarantees the lowest price on blinds. We carry virtually every brand name of window blinds and shades. BLINDS AND SHADES WE CARRY. Castle Window Covers has the absolute lowest prices on custom blinds, window shades, roller shades and other window treatments on the Web. Feel free to shop around online and find any style of window coverings you want - or even think you want - and send us the price you found and where you found it. Our prices are beyond just reasonable - they're the best you'll find. Best of all, you'll get real human interaction with your custom blinds orders. Imagine that: actual customer service... online, even! Fill out the low-price guarantee to the right and we'll contact you either by email or by phone (your choice) with the best solution to fit your home-improvement budget. If there's a sports fan in your life, or if you're looking for the best man cave idea ever, check out our partner site, SportyShades.com. 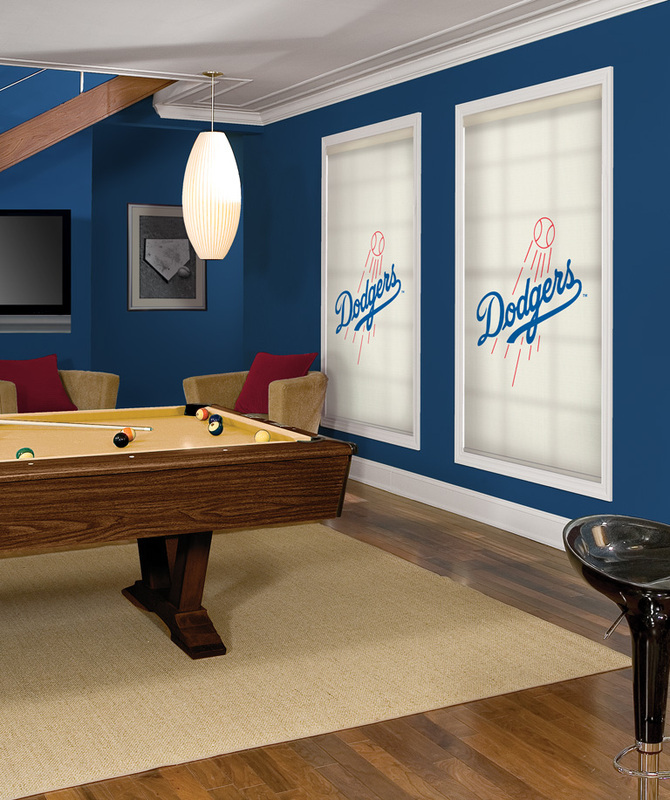 SportyShades carries officially-licensed MLB™ baseball, NHL® Hockey and over 60 College teams on custom window shades. They come in several different sports logo styles and colors, all to make your man cave the coolest freakin' man cave any sports fan has ever seen! Sporty Shades are the coolest thing since the kegerator! Man Caves are typically decorated with sports memorabilia, posters, pennants - everything in a man cave is decorated, except for the windows. Not any more! Sporty Shades finally gives you the chance to pimp out your man cave windows, too, with your favorite MLB™ baseball, NHL® hockey or college team's logo. You can go with the extra-awesome option of a remote-controlled sports-themes window shade, too - with the click of a button, your shades will roll up or down... and there is absolutely nothing cooler for any man cave. Check out the samples to the right, and you can order them directly on their site. Officially licensed MLB™, NHL® and College team custom window shades for your man cave, kids room, office, or any room you want! Show your team pride with Sporty Shades! SportyShades.com: Alabama Man Cave Window Shades. Roll Tide! 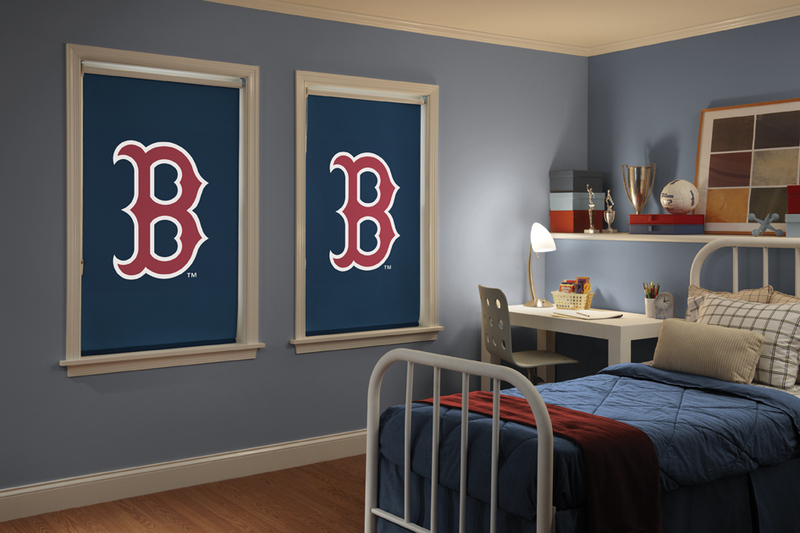 SportyShades.com: Boston Red Sox Custom Window Shades. 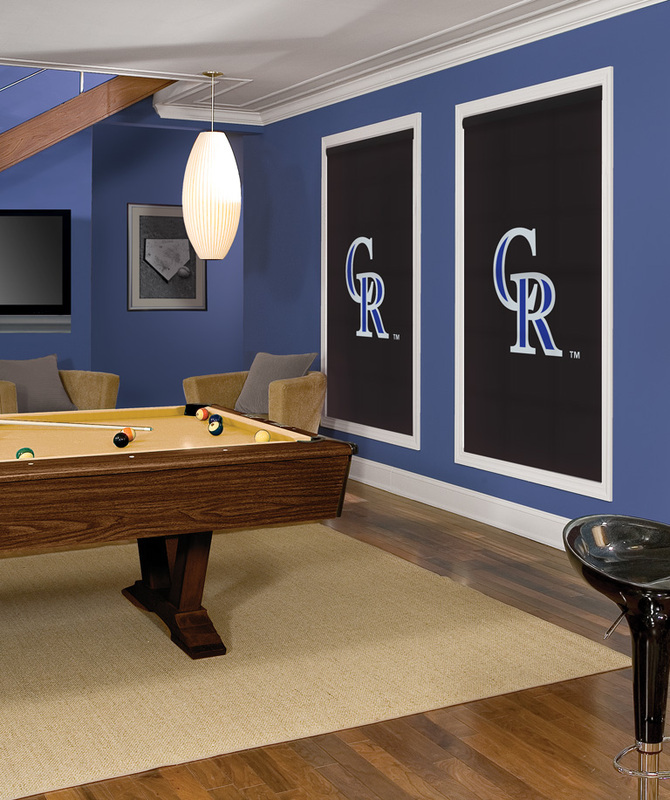 SportyShades.com: Colorado Rockies Custom Window Shades. 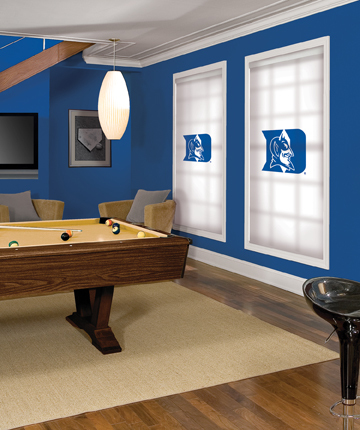 SportyShades.com: Duke Blue Devils Window Shades. SportyShades.com Custom LA Dodgers Man Cave Window Shades. 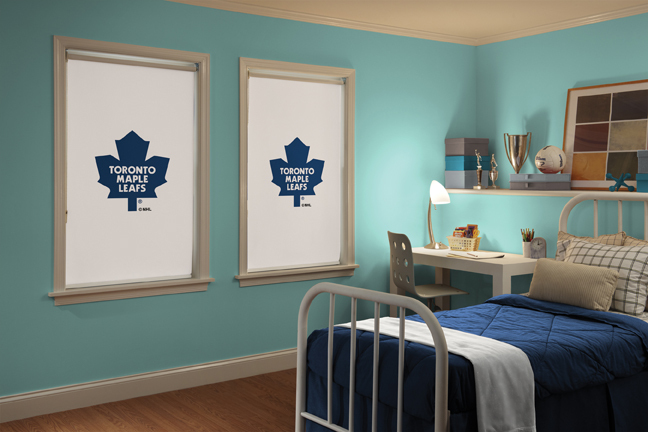 SportyShades.com: Custom Toronto Maple Leafs Window Shades.